Dover Pump Solutions Group (PSG) highly durable, reliable EnviroGear pumps are now available to the Australian market exclusively through Hurll Nu-Way . Dover PSG is the world’s largest provider of sliding vane and eccentric disc pumps, and has recently acquired the premier mag-drive internal gear pumps known as EnviroGear. 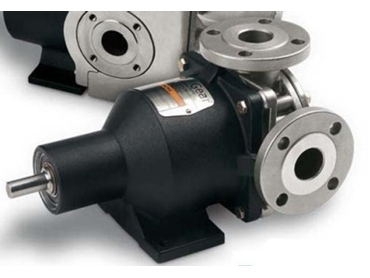 These pumps leverage superior pump technology as they are manufactured using a combination of patented between-the-bearing support systems technologies and proprietary manufacturing techniques. While it is designed to eliminate operational concerns found in old-style mechanical seal gear pumps, EnviroGear also features a simple design which reduces maintenance costs by up to 50%. The pumps are comprised of seven primary parts - a magnet housing, containment canister, casing, rotor magnet assembly, idler gear, eccentric spindle and head. Thanks to a single-fluid-chamber with seal-less design the pumps do not leak. The pumps are also highly versatile, as they are interchangeable with mechanically sealed and packed gear pumps.